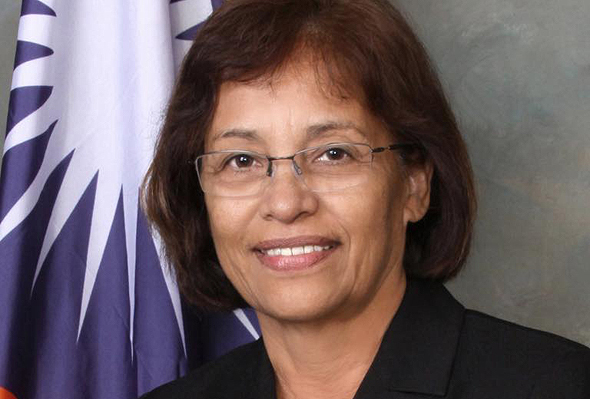 No sign for course change on a plan by The Republic of Marshall Islands to issue a sovereign digital coin, despite a call for caution published by the International Monetary Fund (IMF) on September 5. The small pacific republic, currently using the U.S. dollar as legal tender, announced its intention to raise money by issuing a cryptocurrency to be called “Sovereign” in February. The same month, the republic’s parliament wrote into the books a law authorizing the use of a digital coin as a legal tender in the country, alongside the U.S. dollar. Used as testing grounds for nuclear bombs in the 1940’s and 1950’s, the Marshall Islands benefit from annual reparations of $30 million paid annually by the U.S., according to an agreement set to end 2023. Home to around 70,000 people the islands are challenged by climate-change induced rising sea levels. According to the announcement, the republic’s only domestic commercial bank is “at risk of losing its last U.S. dollar correspondent banking relationship with a U.S.-based bank” as a result of heightened due diligence by banks in the U.S. As a result residents of the republic will not be able to transfer funds to the U.S. and back. The plan to issue the Sovereign, also called SOV, is the brainchild of Israeli entrepreneur Barak Ben-Ezer, co-founder and CEO of Tel Aviv-based fintech startup Neema, registered in Israel as Neema Shefa Israel Ltd. in 2015. The company partnered with the republic on the creation of the coin. In a February interview with Calcalist, Ben-Ezer said he approached the republic with the plan in an attempt to address regulatory issues that prevent wide adoption of distributed coins. The republic aims to raise “hundreds of millions of dollars,” through the issuance, he said at the time. After coming across a definition by the IRS according to which a legal tender of a sovereign country is a currency, Ben-Ezer drafted a list of small countries that don’t have their own currency, eventually deciding to approach the Republic of the Marshall Islands. In January, Neema hired Roye Rahav, whose father, Rani Rahav, is the Marshall Islands’ honorary consul in Israel. On a phone interview with Calcalist held Thursday, Ben-Ezer said Neema is still working closely with the republic on the development of the digital coin. Addressing the IMF's remarks Wednesday, David Paul, an assistant to the republic’s president and its minister of environment, said the Sovereign will keep the country "and its residents integrated into the digital economy,” allowing residents “to transfer and receive funds safely and instantaneously without the need for a correspondent banks." ‘This is a serious endeavor and one that we are approaching with deliberation and care to ensure that SOV has a positive impact on the Republic of Marhsall Islands, its residents and the global economy,” he said. In a request for comment, Calcalist approached a spokesman for the republic with questions about the concrete state of the project, and possible changes to the plan, including a timeframe for an Initial Monetary Offering. He has yet to comment.